ri2 makes conducting randomization inference easy and (with the blessing of the original authors) is the successor package to ri. All randomization schemes in randomizr. 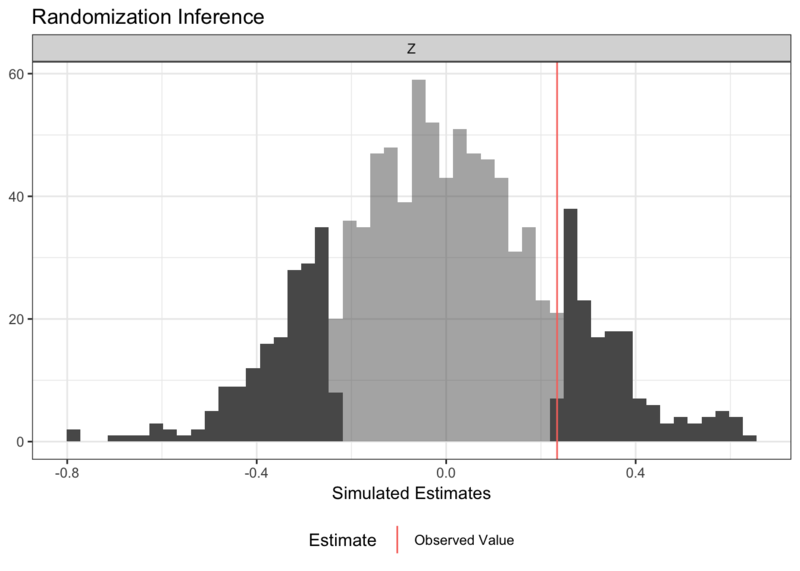 Difference-in-means and OLS-adjusted estimates of ATE estimates using R-native formula syntax. The development of ri2 is supported by a Standards Grant from EGAP.